HENDERSON, Nev.—For Karina Nasir, leaving California for this booming Las Vegas suburb was the chance to escape commutes up to three hours. For Bill Clune, it is saving nearly $5,000 a year on his water bill. For John Falkenthal, the opportunity to have some money left over every month after paying his mortgage. “I never even considered leaving Southern California, but it took me every dime I had to buy a home there,” said the 54-year-old Mr. Falkenthal, a software engineer who moved to Henderson from San Diego last October. California has been losing more residents than it gains from other states for years, even though its population of 40 million keeps growing from births and foreign immigration. But the outflow has accelerated lately. Net migration to other parts of the U.S. from the nation’s largest state was more than 100,000 in 2015, 2016 and 2017, according to the Census Bureau. Total emigration from California to other states between 2006 and 2017 was 1.24 million, according to the Census Bureau, third highest in the nation behind only New York and Illinois. For many former Californians, the high cost of living in the Golden State came to outweigh its balmy climate and booming economy. California has some of the highest utility bills and taxes in the country and the median home price soared 83% between 2012 and 2018, according to real-estate listings company Zillow Group Inc. Buying a house is unaffordable to all but 28% of the state’s population, according to an index by the California Association of Realtors that measures the percentage of people in the state who can afford to buy a single-family, median-priced home. “They’re moving out of the state for less expensive housing,” said Mohamed Hassan, a real-estate broker in Woodland Hills, Calif., who helped three clients sell their homes last year to relocate elsewhere. Ex-Californians have flocked to neighboring states like Nevada, Idaho, Utah and Arizona, which are among the fastest growing in the country. Few places have been as affected as Henderson, whose population surged 20% in the last decade to more than 300,000, pushing it past Reno to become Nevada’s second most populous city. Fifty-six percent of new arrivals in Henderson between 2013 and 2017 were from California, according to Nevada Department of Motor Vehicles data. Home sales in many of the city’s master-planned communities have been dominated by migrants from the West. © Roger Kisby for The Wall Street Journal The MacDonald Highlands community of Henderson, Nev.
At the 1,300-acre MacDonald Highlands in the dusty bluffs overlooking Las Vegas, Californians accounted for about 70% of purchases in 2018, compared with 30% 20 years ago, said Rich MacDonald, the developer. He said he began increasing the share of his marketing targeting Californians over the past three years after seeing the run-up in housing costs there. “They’re tired of getting their pockets picked,” Mr. MacDonald said. Mr. Falkenthal initially looked for a house in San Diego after selling his former home following a divorce three years ago. But his half of the proceeds, about $250,000, would have paid for only a small townhouse or condo in the coastal area where he lived, he said. Instead, he bought a three-bedroom, two-story house in Henderson in October for $416,000. “My quality of life went up the day I moved here,” said Mr. Falkenthal pointing to his pool table and his musical equipment. Former Californians are finding plenty of familiar sights and people. The Oakland Raiders in January broke ground on a new headquarters and practice facility in Henderson for the team’s coming move to Las Vegas. Mr. Clune, 62 years old, and his wife Cindy, 63, both retirees, persuaded their daughter and cousin, along with two other couples, to follow them to Henderson after they moved here three years ago. In addition to saving money, escaping the California traffic was a big draw. Mr. Clune said he used to spend as much as two hours each way commuting from his home in Temecula to his manufacturing business in North Hollywood. “Here, they complain if you have to spend 30 minutes in traffic,” Mr. Clune said. Henderson got its start in World War II as a supplier of magnesium for munitions and airplane parts. As Las Vegas began to sprawl, it became known for master-planned communities such as Lake Las Vegas, where singer Celine Dion and other celebrities live. 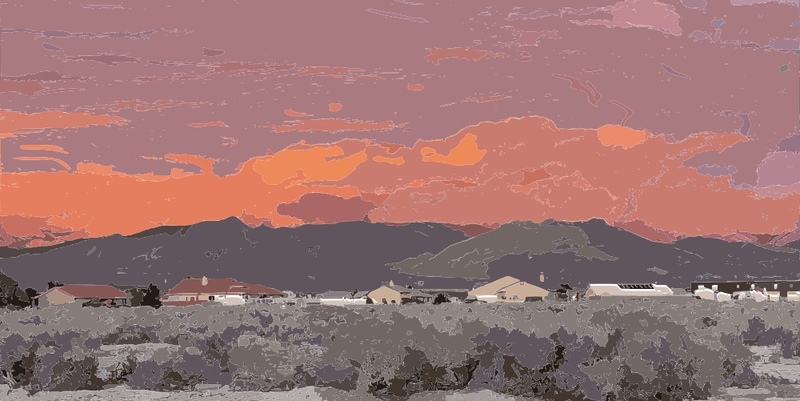 Like the rest of Nevada, Henderson suffered as housing prices crashed during the recession a decade ago. But it came back with a vengeance as the Las Vegas metro economy rebounded, thanks in part to a tourism resurgence. Now Henderson is feeling some growing pains from the California influx. Schools are becoming crowded. Enrollment in the Nevada State High School at Henderson rose to 350 from 200 three years ago and is at its full capacity, school officials say. Two more campuses of the state charter high school system are in the works in Henderson, said John Hawk, chief operations officer for the school district. Average housing prices in the Las Vegas metro area rose to $278,000 in 2019 from $120,000 in 2012, according to Zillow. The increase has pressured some locals looking to buy, but 47% of Vegas-area residents can still afford it, said Jeremy Aguero, principal of Nevada consulting firm Applied Analysis. That is down from 88% after the last recession, he said. Not everyone is enamored of the California migration, though. Melissa Winders, a 48-year-old church ministry assistant, said she and her husband had a difficult time buying a home 12 years ago outside Henderson because of Californians outbidding them with all-cash offers. And she said she sees the same thing happening again. Next PostNext Why a Republic and How do we Keep it?